﻿ Best Price on Vida Tropical in Alajuela + Reviews! Vida Tropical Bed and Breakfast is in a quiet residential part of Alajuela, just 5 minutes’ drive from San José Airport. It offers free parking, 24-hour reception and a free Wi-Fi zone. 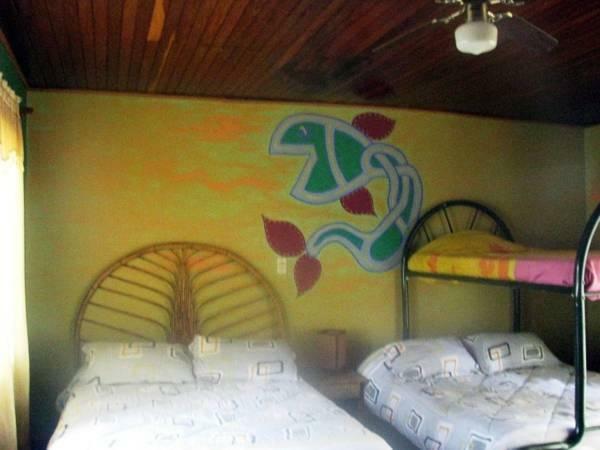 Brightly decorated rooms at the Vida Tropical come with a fan. Some have a private bathroom with a shower and toiletries. A hairdryer and an iron can be requested at reception. There is a terrace with sofas and a hammock, where guests can relax. An extensive library of tour guide books and novels is provided.Yoga mats are also available. Breakfast including seasonal fruits, toasts, bar, cereal, eggs and omelets is available and guests can use the kitchen and fridge. There is an honesty bar for beer, water and soft drinks. Many restaurants can be found nearby and several deliver. Luggage storage and a laundry service are offered. You can hire a car from the tour desk and an airport shuttle service is provided by the 24-hour front desk for a supplement. Buses to San José stop nearby.